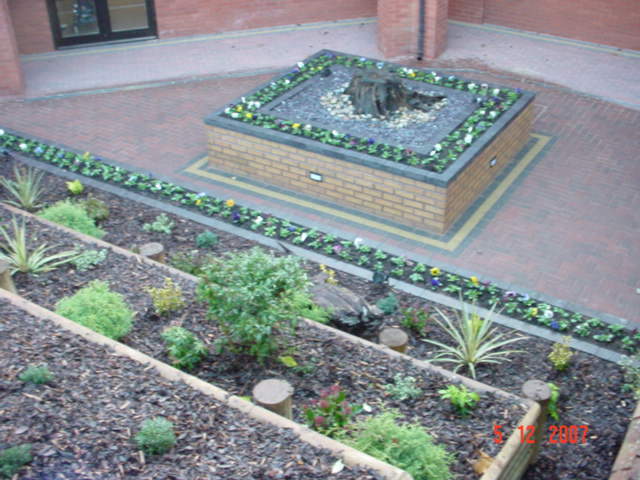 Block Paving to Water Features, Paving and Walling are all well within the capabilities of our experienced work force. Careful planning in the early stages, will undoubtedly meet with success. A small project for us, but a big worry for two senior residents in Bewdley, who recently aquired a new house with a totally un-useable garden. Having cleared the garden of debris, we were able to build retaining walls and lay turf for a new lawn. and after, a tranquil and relaxing wheelchair friendly area. We installed a large patio for all year use with a small lawn for ease of maintenance, and a new fence set it all off.